Read With Me is a web-based (and now iPad) solution for administering oral reading assessments, or running records on any web device. As most elementary teachers know, these typically paper based assessments can take a whole week to administer for an entire group. As teachers we set out to build a research-based tool that would greatly streamline the process, while adding some amazing new features to make the monitoring of reading progress more meaningful and engaging for parents, teachers and students. Oral reading fluency is one of the most important indicators of overall student reading performance. Measuring reading rates has lately become standard practice in most elementary classrooms as a means of ensuring that all students are making measurable growth. As the research suggests, students who have problems decoding words will have problems comprehending texts. 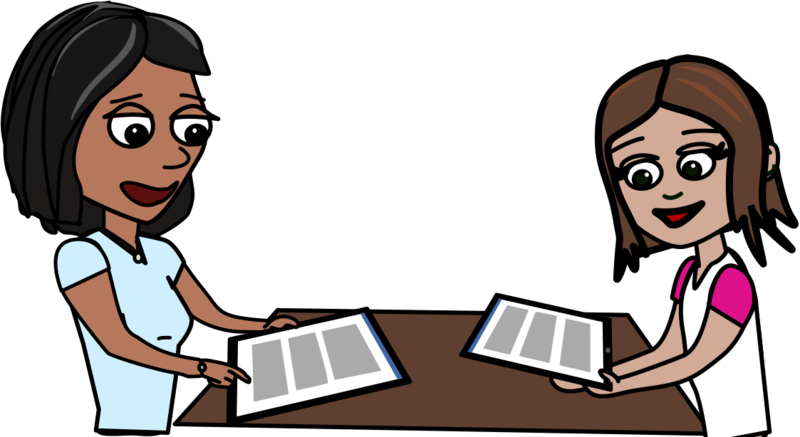 The regular measurement of oral reading fluency, along with other measures, should be part of any classroom where reading instruction is taking place. Identifying and tracking reading accuracy and fluency progress early on is key to making sure all students academic needs are met. Our texts are grade-level specific, as measured by the Lexile® Framework for reading. which analyzes texts for difficulty and complexity. Please visit the Lexile website for more information on the science and use of Lexile measures. Benchmarks for each grade levels are determined by the student’s oral reading fluency, or correct words per minute read, as established by the National Fluency Norms and the research findings of Jan Hasbrouck and Gerald Tindal at the University of Oregon. Read With Me, however, is a flexible platform that allows for various approaches unlike most reading assessment programs that measure only one way. If you are interested only in words read per minute, you can conduct quick one-minute assessments. If a more detailed approach is required, then a stopwatch mode can be used to let the student finish the reading. Need to measure comprehension as well? Simply add that as an option when creating an assessment for one or more students and choose the questions you want included. Setting the reading level of a passage is a customizable process as well and is meant to accomodate whatever leveling system you are comfortable with. Read With Me is available online and as a native iOS app from the Apple iTunes store. While both apps are closely related, they offer different features. For the online app, simply visit the Read With Me site and sign up for free for a limited time. Start by installing passages from our library, or adding your own. Create classes, add students and start evaluating their progress towards benchmarks.